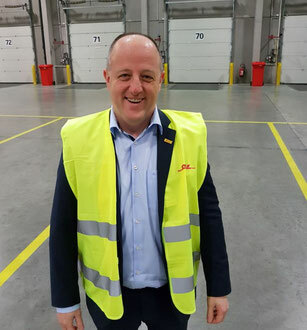 DHL Global Forwarding has converted part of its general cargo warehouse at Brussels Airport into additional capacity for its growing Life Sciences & Healthcare segment. Thanks to the conversion, the original 1,750 m² of temperature controlled warehouse area have been expanded with another 3,550 m². 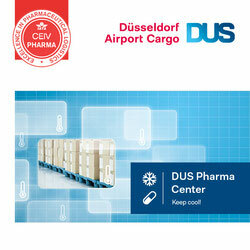 DHL-GF’s current Brucargo facility opened in January 2013, bringing all its sites on Brussels Airport under one roof. 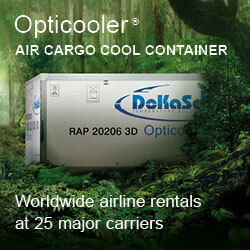 “That has made us the largest single forwarder complex at Brucargo,” says Director Airfreight David Bellon. “From the very beginning we were resolved to offer GDP certified cooling facilities in three categories: +15°-+23°, +2°-+8° and deepfreeze (-2°). As it turned out, the ‘+15-+25’ segment proved to be a fast grower, adds Operations Director Charles De Vuyst. 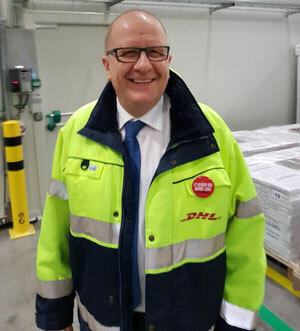 In this niche, DHL-GF also offers value-added services, especially in providing transport packaging solutions that guarantee the temperature integrity of the shipments. By extending the temperature-controlled area of its warehouse in Brussels, the company added 1,524 pallet positions to the existing 900. The facility can also boast an in-house X-ray screening system. It is operated by Securitas, which also provides sniffer dogs. “On the physical side, it is part of our policy to keep as much as possible in our own hands: security, storage, packing, building pallets and ULDs if possible. Only this will allow us to guarantee an unbroken chain from shipper to consignee,” notes Charles. Apart from the pending license to be granted by the Federal Agency for Medicines and Health Products (FAMHP), the Brussels facility is also TAPA A and is a ‘full’ Authorised Economic Operator (AEO). As a Regulated Agent DHL-GF distinguishes between ‘known’ and ‘unknown’ consignors. “For the latter, we are able to provide security so that he can meet the European regulations,” says Charles.